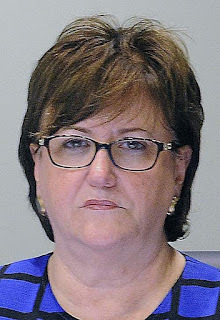 I was pretty shocked when NY State Regents unanimously nominated MaryEllen Elia to be NY State Commissioner of Education. For one thing, I had heard Michael Mulgrew speak of the great hope he had in the Regents to modify the new and draconian APPR law. Given that, I was surprised they'd select someone with such enthusiasm for testing, junk science, and all things reformy. It makes me really wonder exactly how much interest (if any) the Regents have in doing the right thing. It's true Elia gave lip service to being a teacher, and to seeing herself as a teacher. But every teacher I know abhors the new system that judges us, now even moreso, on student tests. It's not even a secret anymore that the state takes these tests and manipulates the cut scores so they show whatever it is the state feels like proving that week. The only teachers I know of who support this stuff at all are those in Educators 4 Excellence, you know, the ones who take Gates money just like Elia did in Florida. And while their leaders, Evan Stone and Whoever the Other One Is, were briefly teachers, they aren't anymore. That's great to hear. I hate it when politicians, op-eds and editorial boards bash teachers. I'm acutely aware of it because it happens almost every single day. Teachers don't want to be accountable because they object to having their jobs dependent on junk science. Teachers shouldn't talk to one another in teacher lounges. Teacher unions should be punched in the face. Now, here's the thing about stereotypes--they are always hurtful, and they are always wrong. It doesn't even matter if they're positive. And make no mistake, Elia's statement is not positive at all. She's calling me and thousands of my brothers and sisters unethical. She's saying Diane Ravitch, Leonie Haimson, Carol Burris, Jeanette Deuterman, Beth Dimino and Jia Lee are promoting evil. And yet it's Elia herself who takes a salary several times that of any working teacher to carry out an agenda based on junk science. It's Elia who supports giving every child in New York the same test. It doesn't matter to Elia if that results in a developmentally inappropriate curriculum. If the kids have learning disabilities, if they don't speak English, if they're malnourished, if their parents both work 200 hours a week, if they live in rotating shelters, too bad for them. The State has spoken. Just because you're selective about the group of teachers you bash, you're still a teacher-basher. And with all due respect, I've seen absolutely no evidence that MaryEllen Elia is in any position whatsoever to lecture anyone about ethics.